Exploding Pill Taxidermy, has been providing professional taxidermy services to customers in the Casper, Wyoming area. We offer custom tanning to prolong the life span of your shoulder mount. As a full service taxidermy shop, you can rely on us to BRING YOUR TROPHIES BACK TO LIFE! Contact Exploding Pill Taxidermy today at (307)315-8323 for all your Taxidermy needs! Or visit our Website for more information and to view our Gallery. 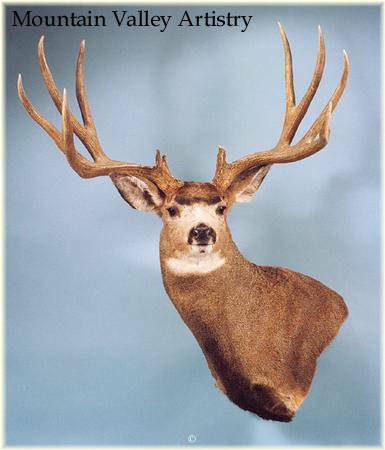 Sundowner Taxidermy -- Located in Casper, Wyoming, owner Robert Sherd has been offering Superior Quality taxidermy since 1983. They are licenced, bonded, and insured with one taxidermist. Each mount is done one at a time, using commercially tanned capes, to insure high quality work. Shoulder mounts and fish; up to 6 months, Lifesize mounts; up to 1 year. Call us at 307-237-8719 or visit us at 2805 W. Ormsby Rd. Casper, Wyoming 82601.